DOUGLAS DUBÉ is admitted to practice before all the state courts of California, as well as the Southern, Central and Northern United States District Courts and the Ninth Circuit Court of Appeals. He formed DUBÉ LAW OFFICE in January, 2014, after the dissolution of the partnership Bacalski, Ottoson & Dubé LLP. Licensed in 1995, Doug has over twenty years of experience as an attorney. Presently, approximately 60 percent of his practice is in probate and trust litigation. The balance of his practice is a variety of civil litigation and appeals, including business disputes, attorney malpractice claims, defense of employers, and real property disputes. As a litigator, Doug has extensive experience in trial preparation, arbitration and mediation, and appeals, and has appeared in federal and state courts representing corporate and individual clients. Prior to attending law school Doug worked for approximately ten years for manufacturing companies in upstate New York, including more than six years in mid-level management positions. Because of his previous corporate experience, Doug views legal problems from a business perspective, with an eye to resolving business disputes based on economic efficiency. Above all he is extremely analytic and a creative problem solver. 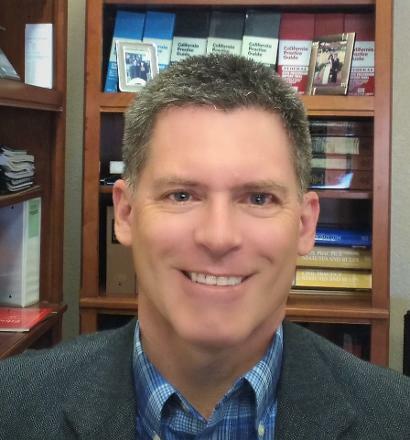 Doug has an undergraduate degree in Engineering Science from SUNY Canton, and graduated with honors from California Western School of Law in 1994. 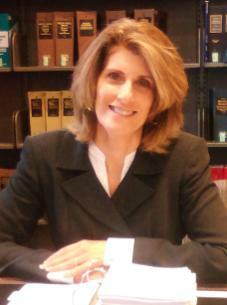 CAROL DUBÉ graduated from UC Irvine, then attended University of San Diego School of Law, graduating in 1993. She first was admitted to practice in Pennsylvania in 1993 (now on "inactive" status), then returned to California and was licensed here in 1995. Carol is admitted to practice before all the state courts of California and the United States District Court Southern District of California. Her early very successful practice was in the area of land use, serving some of the larger residential developers operating in San Diego County. After taking a hiatus from law in 2006 to focus on family and establishing a family-owned vineyard and winery (Dubé Vineyards), Carol joined DUBÉ LAW OFFICE in February 2015. She is working with Doug on litigation matters and developing an estate planning practice. Carol is now assisting trustees and executors in the administration of estates, and preparing estate plans for individuals and couples. To serve clients in the Imperial Valley (El Centro, Imperial, Brawley and surrounding areas) DUBÉ LAW OFFICE also maintains office space at 300 S. Imperial Ave., Ste. 14, El Centro, CA 92243 . Through an association with the firm A. Daniel Bacalski, Jr., APC, DUBÉ LAW OFFICE has access to conference rooms for client meetings, conferences, or depositions at 402 West Broadway, Suite 950, San Diego, CA 92101.